How Aadhaar Based eSign Promotes eCommerce in India? Imagine you were in Mumbai city but had to travel to Bangalore to sign and validate an important agreement. You also have another agreement to sign in Chennai – clearly involves extensive time, efforts and the undeniable hassles that come with it. However, the Aadhaar based eSign offers a refreshing digital facility. A user who needs to make an online signature only needs an internet enabled device and an Aadhaar linked phone number to apply their legally binding eSignature. The eSigning process involves the user keying in their Aadhaar number and the OTP that is sent to the Aadhaar linked phone number. Post eSigning, one may invite other parties to do the same too. Interestingly, the eSign is said to be a more secure alternative to the physical signature. Reason being, each electronic signature gets verified, and authenticated by Audit Trail, a backend mechanism that records all user action over the document. Undeniably, the eSign has brought in a much needed convenience to users. They would otherwise have to go through a tiresome process to physically validate their documents . With SignDesk, the entire eSigning process requires less than 2 minutes time. Common practices like buying groceries from the shopkeeper, watching a movie in a mall or even visiting the doctor are fast becoming archaic thanks to them being available online. In this context, it is fair to imply the eSign is still playing catch-up. The convenience of internet shopping has clearly overcome the traditional hassles of shopping in a physical store. In the same manner, the essence of digital signatures are now being endorsed by users around the world. At this point, one may wonder if the Aadhaar based eSign can be used for all documents and eliminate the need for physical signatures. Formation of a Trust as per Section 3 of the Indian Trusts Act, 1882. Sale of immovable property or any contract, interest or conveyance in such property. Power of Attorney as per Section 1A of the Powers of Attorney Act, 1882. A Will and/or Testament as per Section 2(h) of the Indian Succession Act, 1925. A Negotiable Instrument as per Section 13 of the Negotiable Instruments Act, 1881. Class of documents as stipulated by the Central Government by way of a notification published in the Official Gazette from time to time. ‘Today, the world is closer than ever’ and with good reason. For example, you may not want to step out of your house over the weekend but still get a pair of shoes delivered out of U.S.A before you head to work, thanks to eCommerce. While further progress is needed, the workflow in achieving such simplified customer experience comes down to effective logistics and documentation. This is where eSign plays a pivotal role, today. Presumably, anything may happen to the store or office and one may lose out on significant things, touch wood. When an eSignature is used over a eDocument, information on the document is safe in the cloud with no exposure to outsiders unless intended. eCommerce is clearly an industry that is always on the go. It does help for those involved in such an industry to just pick up their devices and make signatures than taking a more time consuming and resource heavy alternative. As emphasized earlier, any user, with an Aadhaar linked phone number that is functional with the internet can apply a legally binding electronic signature. Entrepreneurs or managers need not think twice about the legality of eSigning a document for eCommerce purposes. The Information Technology Act. 2000 makes it clear that the electronic signature is indeed legally valid. Having said that, it must be known to the eSigners that there are multiple types of digital signatures made available to users around the world. In India however, only these two forms of electronic signatures are legally accepted. With Audit Trail, all action over the document is recorded and is made available should there be any doubt over the veracity of the eSign. Also, each Aadhaar based eSign that is processed through SignDesk.com goes through an elaborate encryption and hashing process that binds the authenticity of the document. The fact that people from any part of the country can get into a binding agreement means, there is more scope for business opportunities with an added layer of trust. What’s business without trust? eSign brings it. By virtue of being able to get into an instant agreement at any given point in time, there is no excuse to do business without an express contract on terms you agree. This promotes fair practices in all undertakings against otherwise plausible mishaps. When there is integrity in the process, it is deemed to show in the output. Basically, a win-win situation for everyone involved. Validating legally binding contracts are now easier than ever before thanks to the Aadhaar based eSignature. Thanks to such contracts, unjustified events in a business can now be resolved in a considerably quicker time. 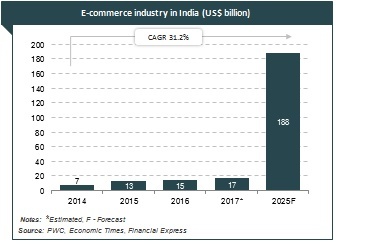 The Indian eCommerce space is growing at a Compound Annual Growth Rate (CAGR) of 28 percent. 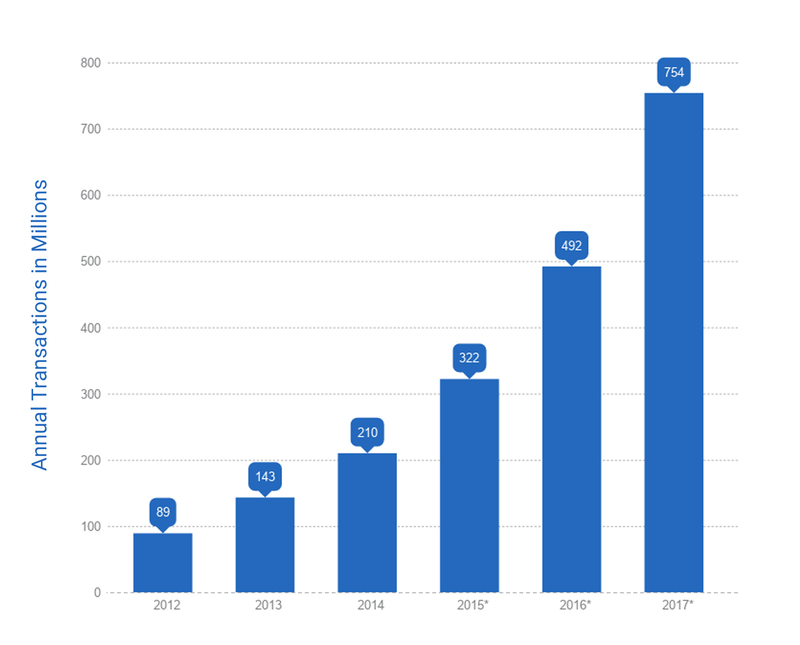 It is expected to generate an annual revenue ofAt ab US$ 200 billion by 2026 before overtaking the U.S.A by 2034 according to a KPMG report. With such a massive, cultural shift emerging in the way business works, it is only obvious why the newfangled way of validating documents online is getting popular by the minute. By January 2018, the eCommerce retailing space has witnessed a cumulative average of 1.2 million transactions per day according to India Brand Equity Foundation. Also, Internet being more accessible than ever in Tier II and Tier III cities only promises a more boisterous economy. With such massive business coming in, eCommerce owners clearly have a ready convenience to protect their best interests with the legally binding facility like eSign.